Edward Enninful and the “New Vogue” – what’s the significance? This week, Edward Enninful and his brand spanking new team revealed the first cover under his editorship. 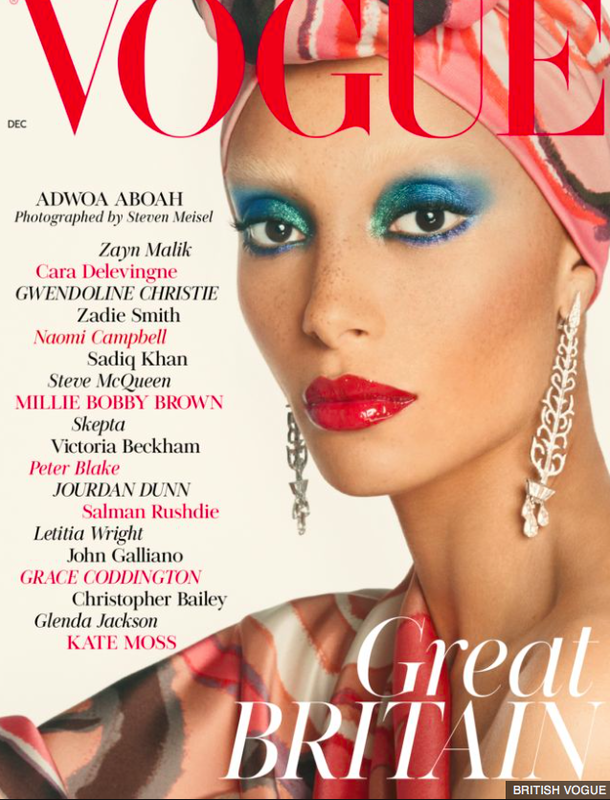 Featuring model and activist – that bit’s important – Adwoa Aboah, the cover firmly signposted where Enninful is taking the magazine. Ladies and gents, all aboard the new era of fashion glossies. As the Guardian pointed out, instead of trend alerts and feature titles, the words on the cover are all names. Names of Great Britons, apparently, who are set to make fashion a better place. Or at least make it a more diverse place. 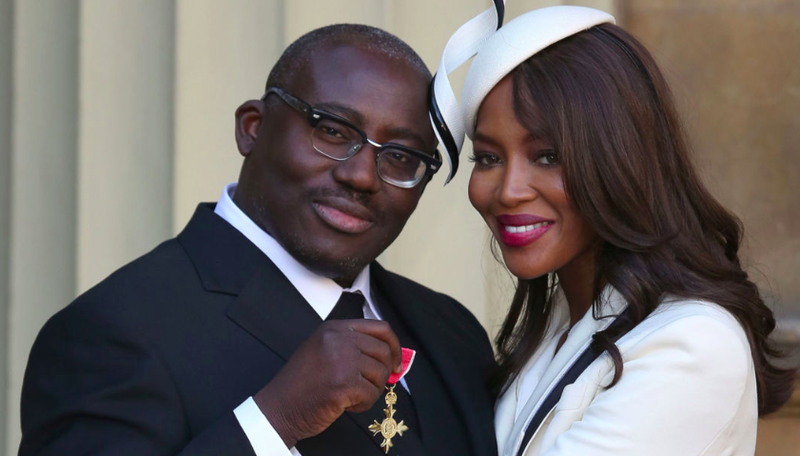 For that is Enninful’s moda operandi; he won an OBE for it in 2016. His award for services to diversity in the fashion industry comes from a career-long mission to tear the biz away from the traditional, insular, white, posh, very thin echo-chamber. His ‘baptism into fashion’ came at age 16 as a model, but his real impact didn’t begin until he started working in publishing, first as an assistant to the fashion director at I-D. He took the position of Fashion Director proper when he was 18, the youngest person to ever assume the role in an international publication. So he’s impressive, obviously. With talent, obviously. And he’s determined to break the shackles of white dominance in Western fashion. As contributing editor for Italian Vogue (while simultaneously working as a stylist) he masterminded the game-changing 2008 ‘black issue.’ Backed by Vogue Italia’s Franca Sozzani, he explained that his reason for the issue was to challenge the “white-out that dominates the catwalks and magazines.” But the white-out isn’t his only concern; he was also behind the June 2011 cover story that featured only plus-sized models. Times are definitely changing for Vogue and we can expect more politics, opinions, and grit but, as always, there’s a however. Vogue might have got somewhat cooler, but it’s still Vogue. The editor has changed, the owners haven’t, and no matter how much Enninful wants to expand its reaches, his besties are still Naomi Campbell and Kate Moss, two new contributing editors, and two women who have spent far more years of their lives being privledged and famous than not. For all his good intentions, Enninful lives in that same fashion bubble. In the same way that celebrities like Angelina Jolie support charities and good causes, he can certainly campaign for the good things, and then he can go home to his personal wardrobe full of designer clothes. ‘Normal people’ can walk into Brown Thomas and not feel scared – I do – but that doesn’t mean we can afford to buy anything in there. The new Vogue is still, for the most part, aspirational. Topshop may feature in the same shoot as Celine, but it’s the Celine coat you really want. Despite the fact that Enninful has got rid of a lot of Shulman’s staff and hired younger, cooler friends, for the first year, probably, his role of editor will be like that of a (democratically elected) president. He’ll have final say, but he’ll have advisors guiding him. He’ll most definitely listen to his audience, too; now, more than ever, consumers insist on having their voice and opinon heard, and any British Vogue fan can reach him with a well-executed tweet. Magazines can never have the same impact they had before, social media and the internet have made sure of that. With genius, though, comes revolution and reform. Enninful and his team are likely to have a few tricks up their sleeves. Prepare for not only a new dawn for Vogue but a new dawn for magazines in general.